Hello everyone! I see I have not written a recipe for a while. I have cooked a lot and have plenty of food photos to share with you but I was lacking time. So busy with my offline life. Anyway, what I share with you now is a Filipino food. Bagoong is a Filipino fermented fish, a shrimp paste which is salty and is used in many ways with meat, vegetables and fruits like mango. Sweet Potato peeled and sliced. Actually, I have bought 2 pieces of sweet potatoes for this recipe but 1 was rotten so I had only 1 piece of sweet potato left to fry. The one I put on an aluminum foil on the table was rotten and moldy and the other 1 just beside it. I wonder if that foil ruined my sweet potato. I peeled the skin of the sweet potato and washed it. 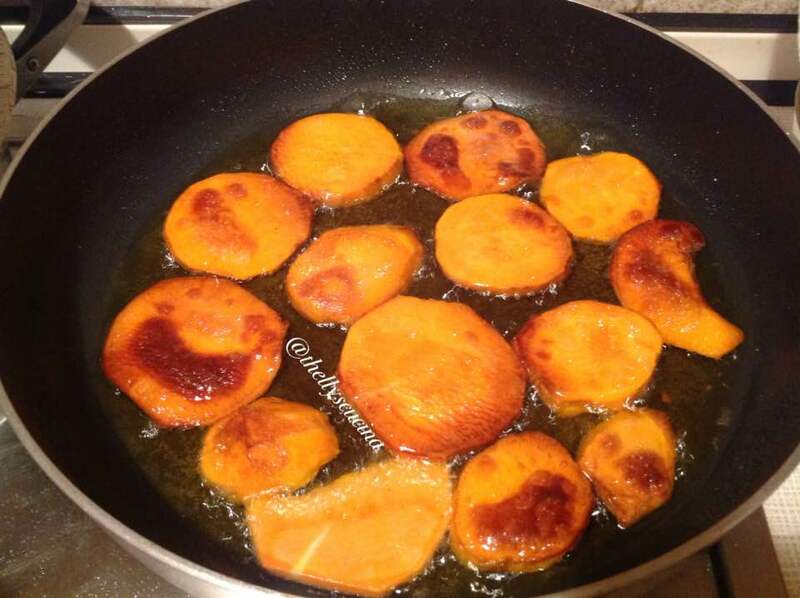 I sliced it in many rounds like chips.While slicing it into rounds, I heated the oil in a frying pan. 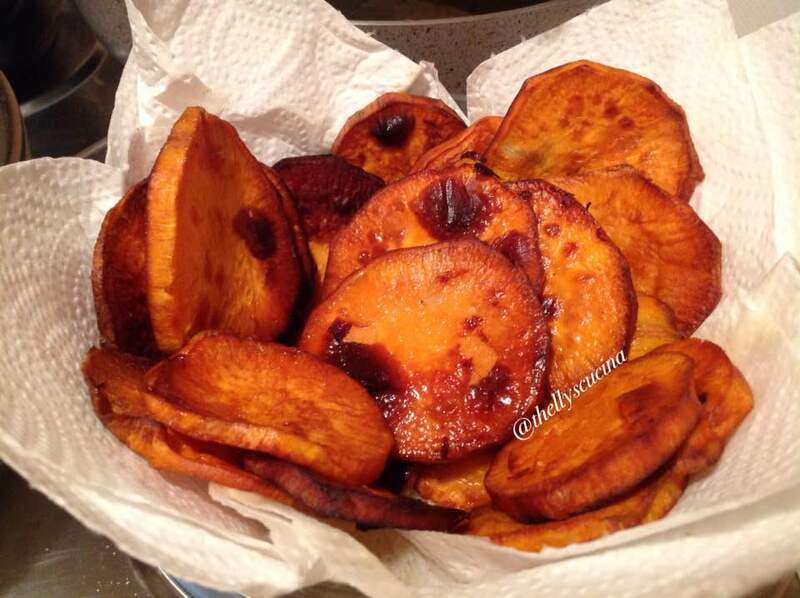 When the oil was over moderate heat, I fried the sweet potato chips on both sides until golden brown. 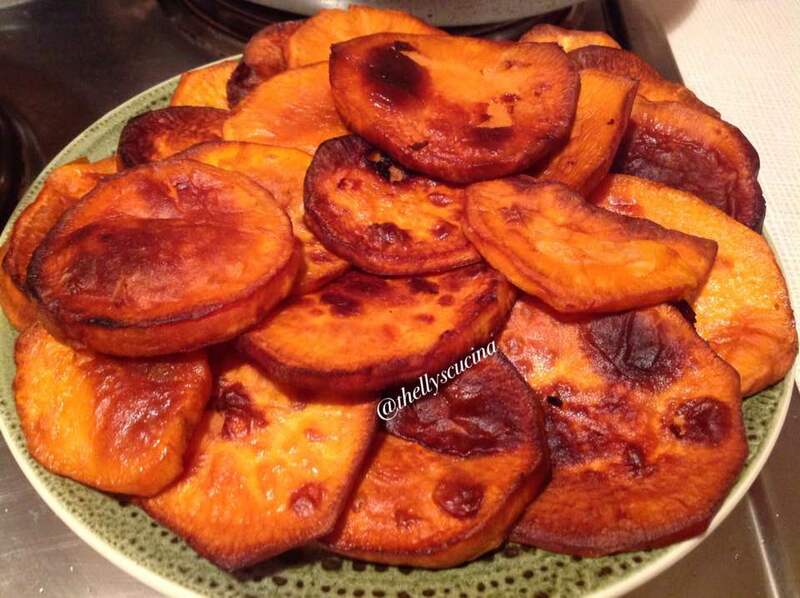 Then when they were done, I let them stand on a pyrex bowl with kitchen paper so the rest of the oil would get off from the sweet potato chips. Fry the fat of the pork belly first before sauteing the garlic and tomato slices. Then add the remaining pork meat in the pan. Saute until the meat is tender. When the meat is tender, add the bagoong paste and spring onion. Mix them well. 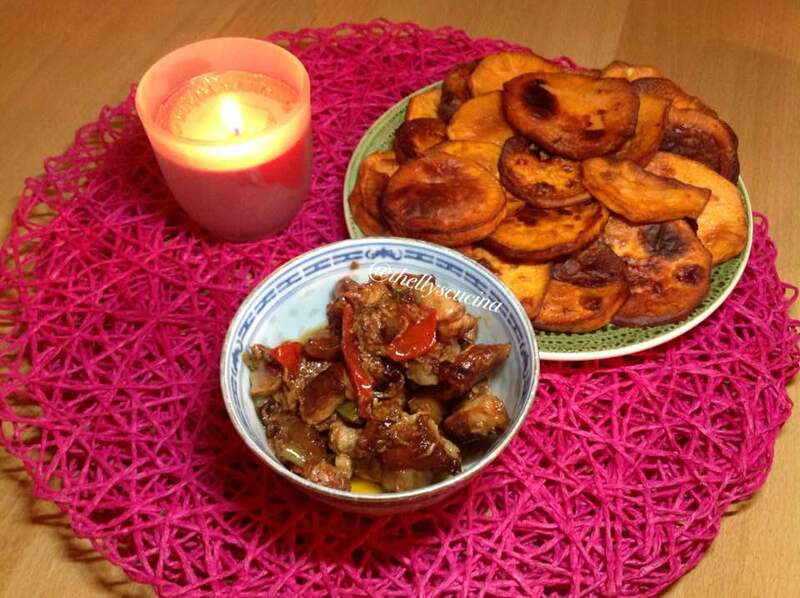 Serve with fried sweet potato chips. I know this is an unusual food but just try it. 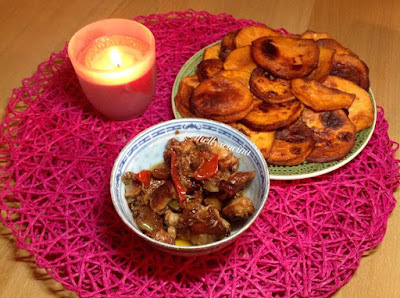 You will love it if you love this salty bagoong with pork.I usually ate pork bagoong with boiled rice but this time I ate it with fried sweet potato and it was so yummy that I consumed them all.As you see in the photos, they were plenty. If you love sweet potato, maybe you can try my Sweet Potato Pomegranate dessert or my Sweet Potato fries recipes. Thanks for reading my blog.Please feel free to comment, like and share this recipe to your social media sites. Ciao! 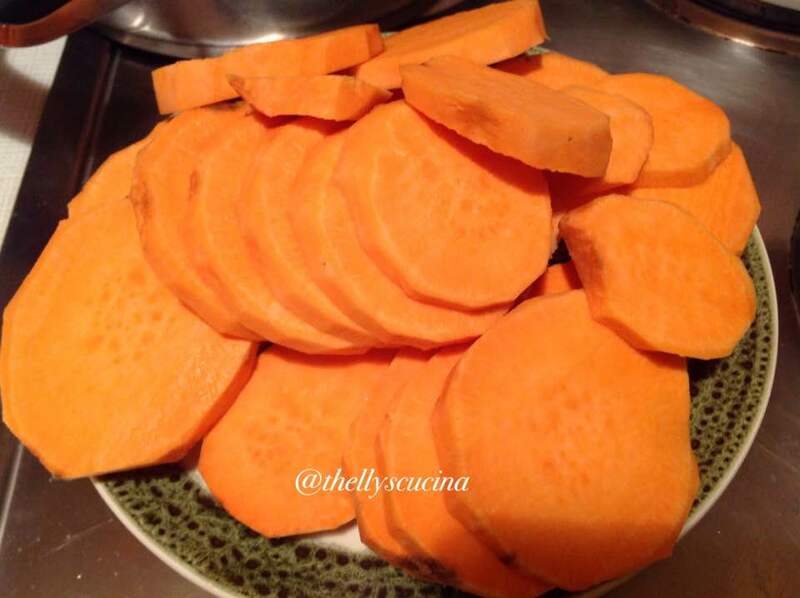 Sweet potatoes are delicious - this recipe sounds amazing! Thank you very much Christy. I love it. Yes, it is Susan. Thank you. Thank you Caz. 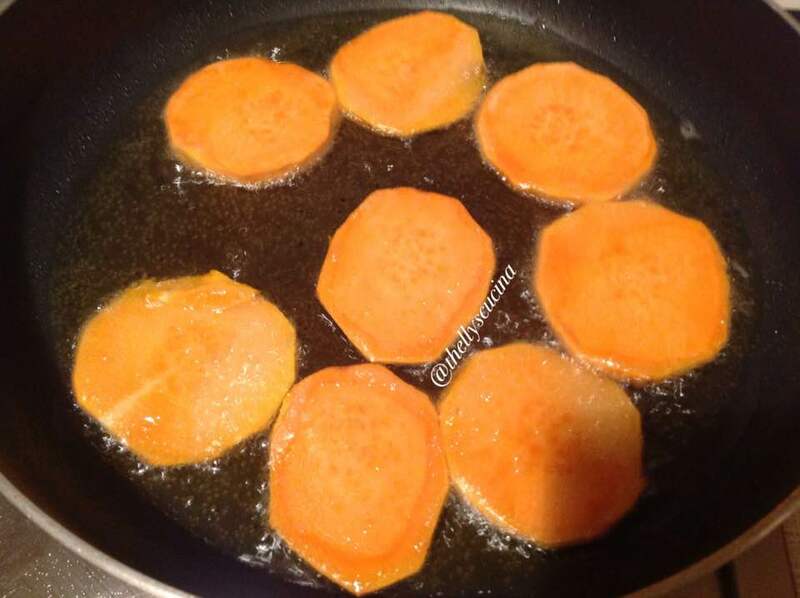 I love sweet potatoes more than potatoes. 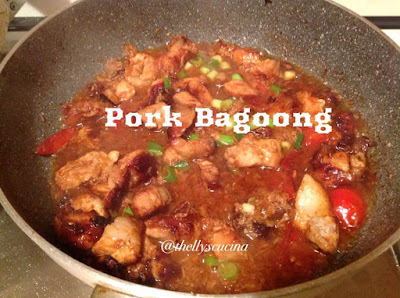 Love Filipino food, and never ate this bagoong, but it sounds delicious. Going to have to save this one and give it a go I think. Thank you Jim for your wonderful comment. I hope you will like it.